I am delighted that I can now offer original works and limited-edition prints for sale directly both here on my website and in person from my studio. I’ve been practicing as an artist for over 10 years but I am still thrilled when I sell a piece and love getting to meet new people through my projects and paintings. As a professional artist I strive to improve with every painting and through awards entry and exhibitions I continue to grow my profile amongst collectors. I’ve answered some key purchase information below but if you have any other queries then please don’t hesitate to get in touch. I’m always more than happy to explain the process behind my work or the inspiration for a particular painting. I’m especially careful to represent any artwork accurately online. After photographing a work I check the values and saturation of the image on screen directly next to the original piece in the studio. 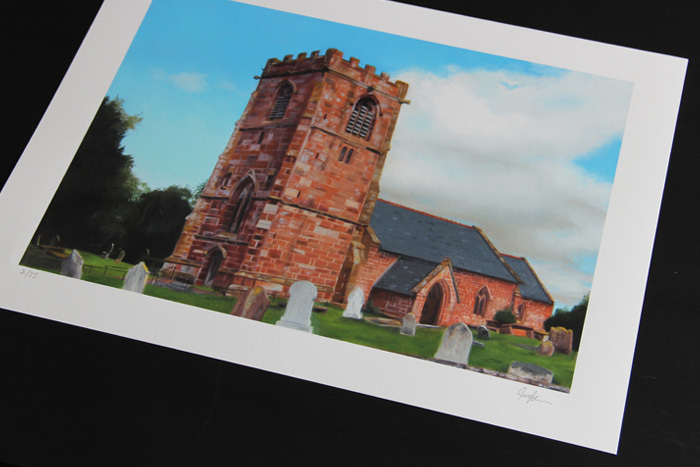 I usually try to show a painting or print from a number of angles to help show the quality. My website is securely hosted and payments are taken by Stripe – a PCI Service Provider Level 1 which is the highest grade of payment processing security. You can be assured that your payments and information are safe and secure. I also accept payments via PayPal for those who prefer this option. I offer free delivery on all orders to any UK mainland address. Delivery times for UK orders are 3-5 business days after payment has been received. Delivery times for international orders are 5-7 business days after payment has been received. 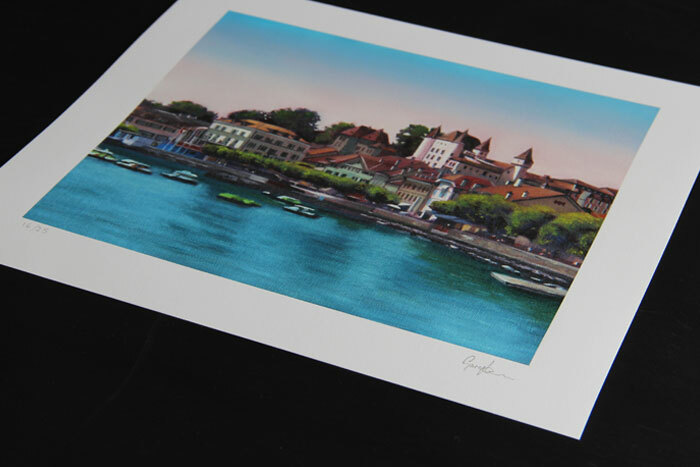 *The current exception to this are the “Nyon at Midday” Limited Edition prints which are sold with free shipping to customers in Switzerland (and the UK). 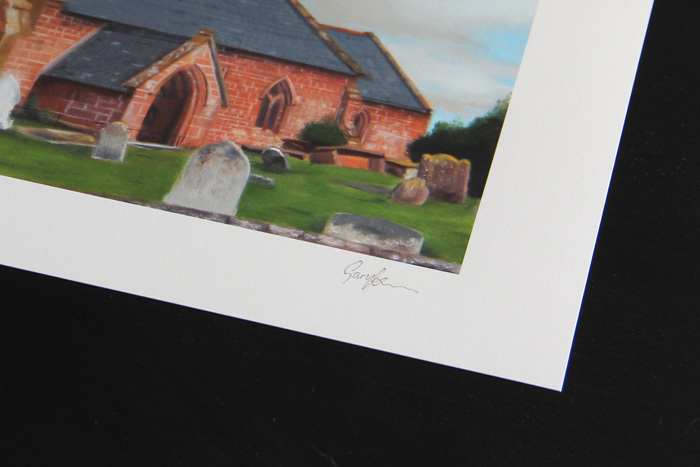 I offer a 14 day returns policy meaning if for any reason you aren’t entirely satisfied with your painting or print then you can return it for a full refund minus shipping costs. All I ask is that you return the piece in the condition which you received it and cover the cost of return postage. Wherever possible I try to provide some detail behind the creation of each artwork I sell and you can usually find this under the description at the bottom of the listing. 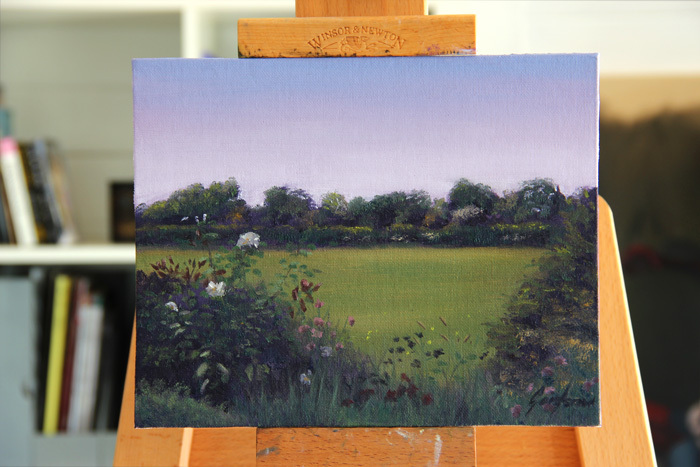 I mostly paint from life, with landscape paintings created en plein air (on site) and still life paintings created in my studio. 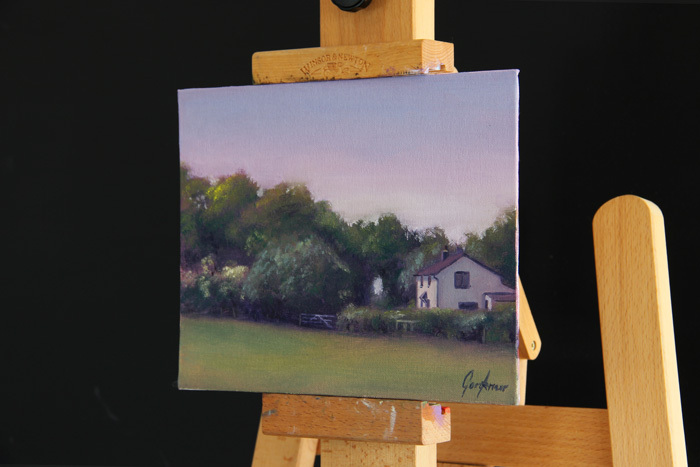 Original oil paintings are painted using artist’s grade oils, mostly Winsor & Newton and Old Holland pigments. Fine art prints are professionally reproduced from the original paintings and created using giclée inks on archival museum quality paper. 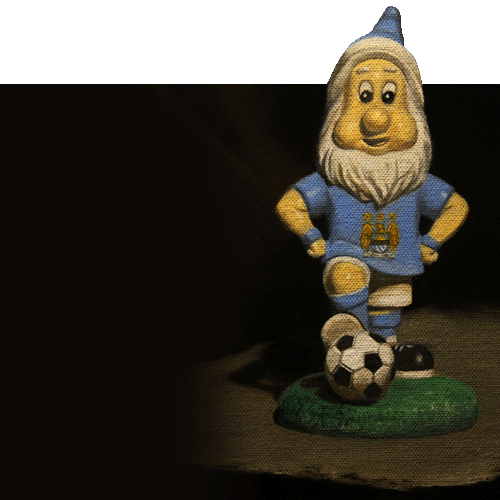 Please see the individual product listing for more specific detail on the exceptional quality of these fine art prints.